AN ANIMAL SOUND. Like a dog that does not know its place, the animal utters a retort to its surroundings. 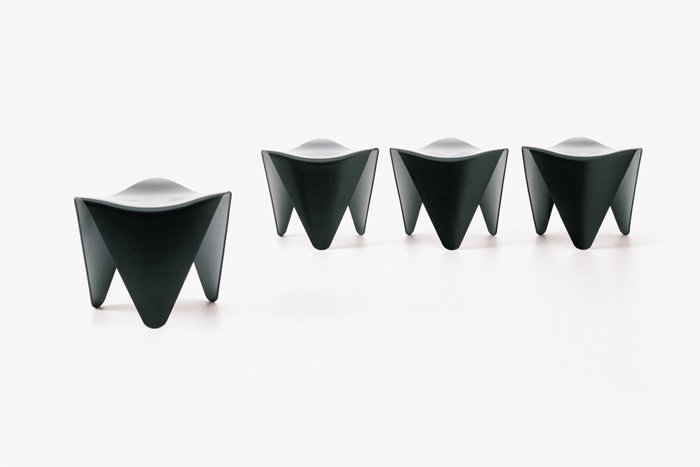 With its smaller appearance and simpler expression, the stool is positioned on the edge of Voxia’s flock as its watchdog, but it is still a racer and faithfully follows its master’s instructions. And it comes when called. Stackable stool in compression moulded beech,laminated in one piece. Available in natural beech, stained or laqueured.